Technoheaven is a leading Travel Portal Development Company & Travel Software Company with worldwide customer base. Technoheaven travel portal development company is highly specialized in delivering the best web design and development services along with best XML API Integration services to their customers. We also offer customer support services 24/7 for our clients. 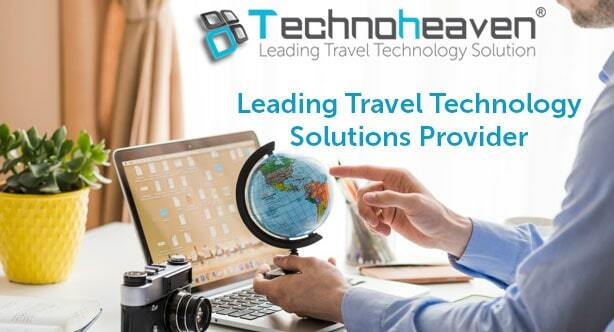 Technoheaven travel portal development company provides the travel agencies with complete Travel Portal development, GDS, XML and API Integration, Hotel and Airline Reservation System and development for all the aspects of B2B & B2C travel portal development. Technoheaven travel website development company offers the best white label solution to assist the travel companies and travel agents. As a travel portal development company, we offer integrations as per the client’s requirements. We also help in integration of multiple hotel XMLs including GTA, agoda.com, Travco, Hotelbeds, Within Earth, Escalabeds, Fastpayhotels, DOTW, and many more. Technoheaven Travel Portal Development Company integrates Flight APIs including Galileo GDS, Amadeus, Charter Flight, Mystifly, and so on. Technoheaven travel website development company enables travel companies and tour operators to connect their websites to our systems via Rayna Tours, GTA Tours, Ski Dubai, Klook and many more. Apart from APIs and GDS, Travel Portal Development Company, Technoheaven also provides Hotel Contracting System where you can also have own contracted hotels and display them on various online booking engines. Technoheaven travel portal development company also enables integration of payment gateways including Payfort, PayUBiz, 2checkout, Authorize.Net, Paytm, American Express and many more. Technoheaven travel website development company also offer dynamic packages including hotels + holiday packages and airline + hotel that allow buyers to plan their travel better. Travel Website Development Company- Technoheaven offers an efficient online booking system which is specifically designed while keeping in mind the requirements of travel companies, B2B & B2C travel agencies, tour operators and travel suppliers. Why Choose Technoheaven Travel Portal Development Company?